A good restaurant doesn’t always have to be fancy. Sometimes, it’s the place that reminds you of home—a comfortable nook that serves heartwarming dishes that often take you back to the kitchen of your childhood, where mom prepares your favorite meal. 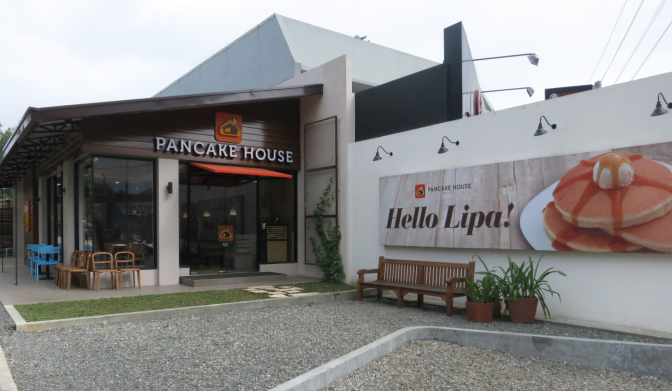 And it is this look and feel that Pancake House—the country’s top family-oriented restaurant creating memories through enjoyable dining experiences—hopes to capture for their next generation of diners. The popular pancake chain, now part of the Max’s family of brands, has started the initial steps of building the new designs of new and favorite branches. The simple, orange interiors will slowly transform into charming, warm spaces that invoke vacation cabins, or a very delightful shed. The new restaurants are defined by the generous use of wood accents, plush furniture, and warm lighting to complete the inviting feel. The feel-good atmosphere is quite new, but still stays true to the restaurant chain’s family roots and heritage. The first restaurant to have this look was the one in Lipa City, Batangas, while Manila first saw this charming space in the newly-opened branch in Estancia, Capitol Commons in Pasig City. As mentioned, the branch in Lipa City was the first to feature the brand’s new look. From the logo down to the landscaping details, the restaurant manages to start anew while staying loyal to its roots. The design inspiration came to Fuentebella upon seeing the construction space for that branch. According to him, the brand’s new design concept is all about comfort and finding a place that strongly reminds diners of home. To define this new look, very noticeable transformations had to be applied. The brand’s famous orange color, which was previously integrated into every nook and cranny of the restaurant, was even given an overhaul. 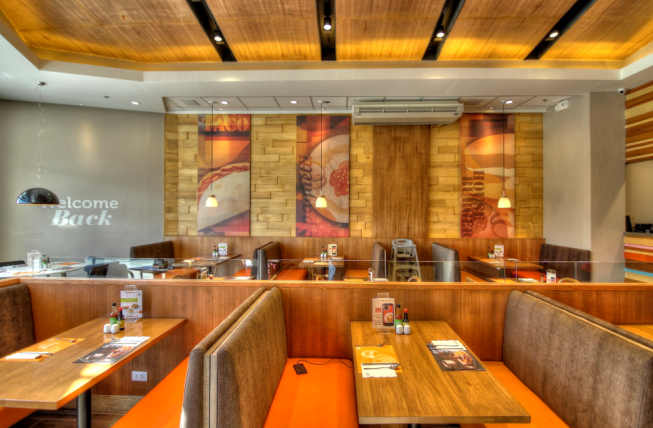 “Orange is a corporate color for Pancake House, but is not defined by the color alone. It is deeper than that. Things need to be textural or else you can’t feel it with your senses. So we said, maybe the orange can be interpreted instead of just using it specifically,” explains Fuentebella. The logo now shows a new interpretation of the restaurant’s famed house symbol. Tying it to the concept of home and comfort is the glow from the house cascading to the old orange background. Of course, the brand’s complementing colors—fuchsia, brown, and blue—are also integrated to the new design scheme– finding its place in the walls, the chairs, the counter area, and even in the placemats. “These are the colors chosen by the original owners of because for them it shows the spirit of the ’70s. This is really us going back to the core,” he said. 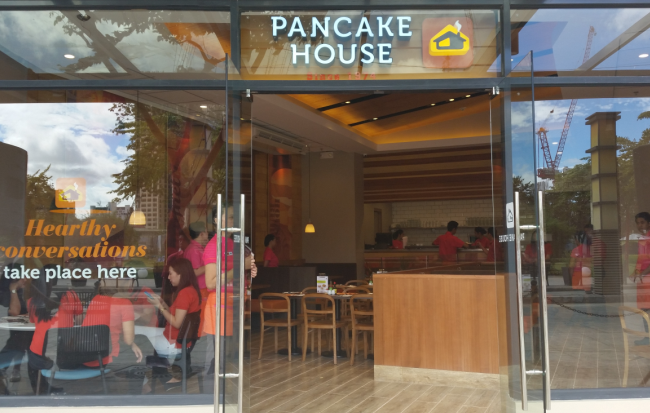 Despite the changes, one is assured of all the goodness that Pancake House has to offer. Their pan chicken remains flavorful and crispy as ever, their meaty spaghetti a hit among kids, and their tacos still has the savory goodness that keep patrons coming back for more. And as for their pancakes, diners won’t be disappointed as they have remained fluffy, with just the right amount of sweetness that keep people craving for more.